OCZ has called it quits when it comes to DRAM, which is interesting because that was how the company made it in the early days. The company reported a loss of $8.3 million, or 29 cents a share, for the three months ended Nov. 30. That compares with a loss of $972,000, or 5 cents a share, in the prior-year period. In August, OCZ announced it would discontinue some of its products and continue only with certain high-performance memory products. Since then, demand for DRAM products has softened globally, so the decision to kill the remaining memory lines likely wasn't a hard choice. OCZ's main revenue generator is from solid-state drive and NAND Flash memory is what the company will be focusing on in the future. 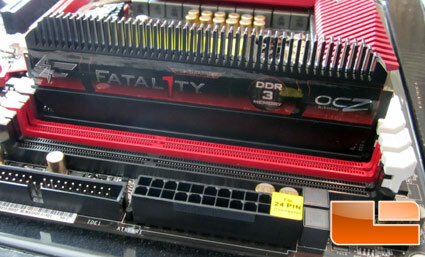 We had a chance to speak with OCZ about this during CES 2011 and was told that while OCZ is exiting the memory business they will still offer Fatal1ty branded memory products and had a new module at the show for that line. You can check it out below. We are asking OCZ what this will mean for customers with lifetime warranties on existing products that they have purchased. Having balanced this DRAM market weakness against the capital needs of the Company's growing SSD products, the board has determined that it is in the best interests of the stockholders to accelerate plans to discontinue its remaining DRAM module products by the end of its current fiscal year of February 28, 2011. Accordingly, our DRAM products are now expected to have minimal, if any, sales in the next fiscal year and beyond.